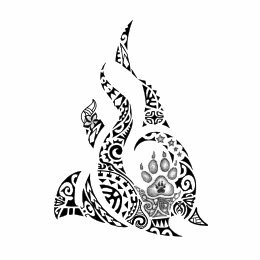 This fire shaped tattoo was requested by Ken to integrate a paw tattoo he already had, which gets thus woven into the whole story. Two tiki enclose the flames on the sides for protection. The left one has the spear heads nearby for the warrior who conquered his freedom (the manta next to them) built on his achievements (the standing stones close to it). 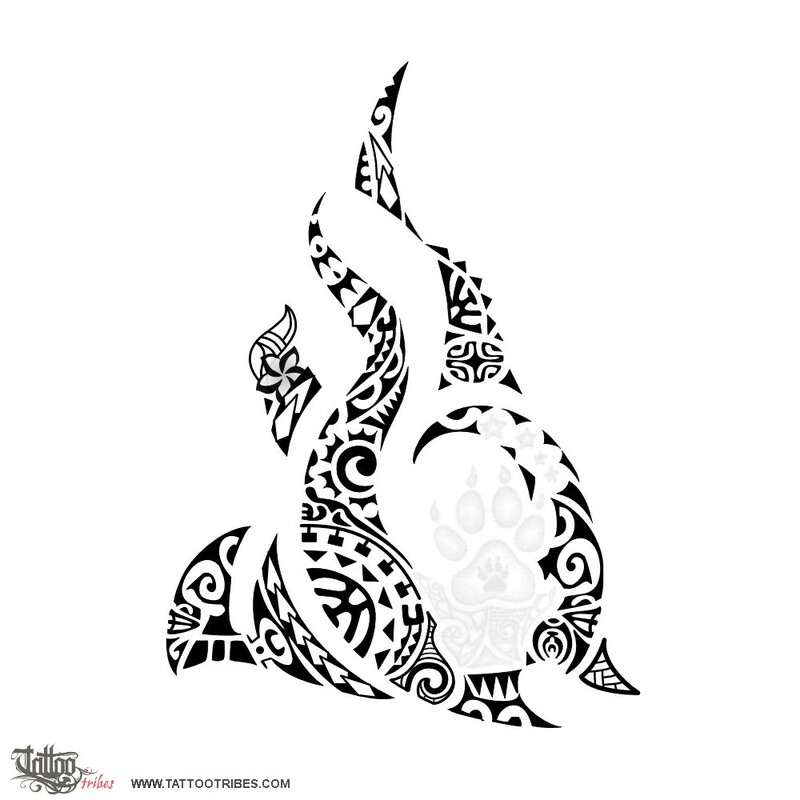 The bigger central flame has opposing waves, a path of Kamehameha and two moray eels for the difficulties faced; they are at different places along the flame to show they happened at different times but were faced every time and eventually left behind reaching a new balance and perspective (the Marquesan cross and the birds on the top right flame). A row of spear heads starts on the left flames and follows on all flames up to the top to represent Ken´s fighting spirit, which always pushed him forward.